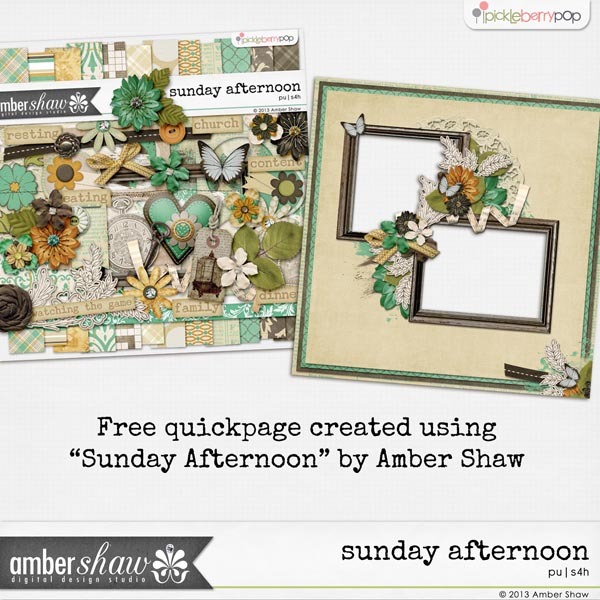 Amber's release this week is all about those relaxing moments we spend on "Sunday Afternoon". Whether you like dinner after church, watching the game with the family or taking a long walk in the park, Sundays can be the best days of the week. Relax after a long week of working or studying or being mom and spend some time scrapping the more peaceful moments in your life. This new release is on sale, as always, for a limited time. 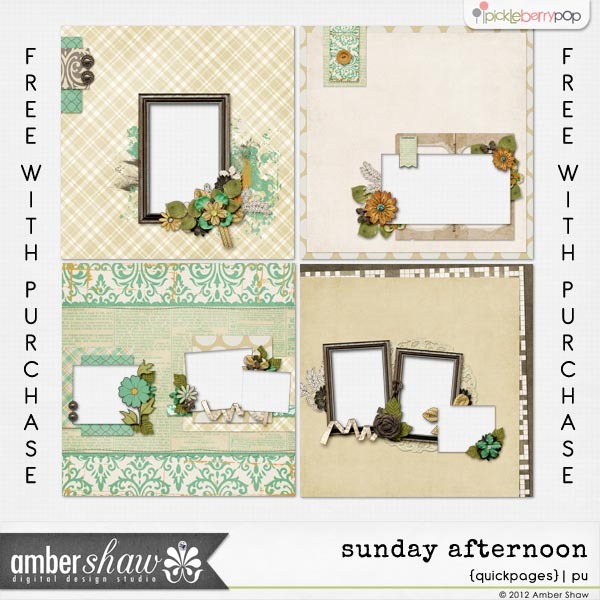 Also for a limited time, Amber is offering a FREE item in your download until June 19. So don't wait to buy this fantastic kit! 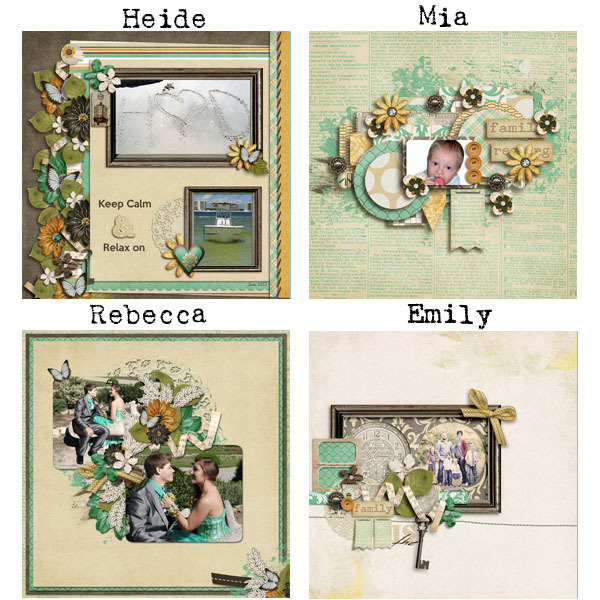 Lastly, please accept a little gift from us to you--a quickpage created using this new release.